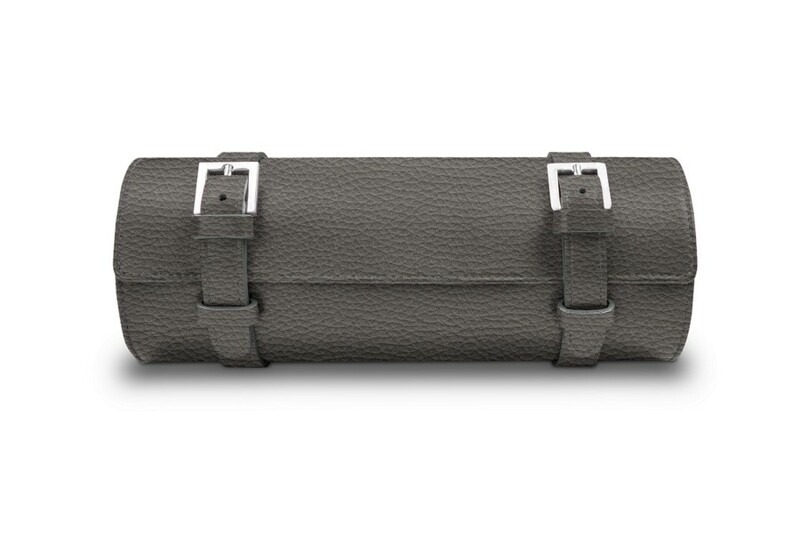 To help you protect your most coveted watches, LUCRIN presents the deluxe watch roll case made in authentic leather. 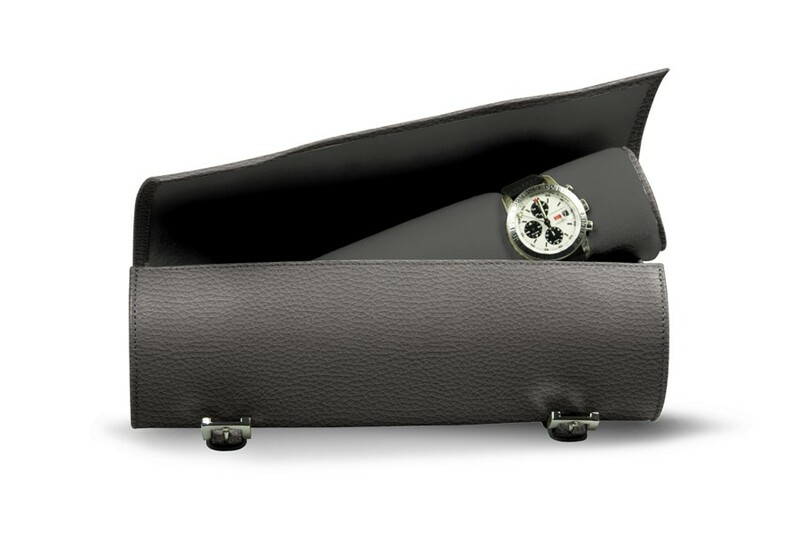 Inside, you will find a cylindrical cushion which can hold up to 5 -7 watches of standard size. 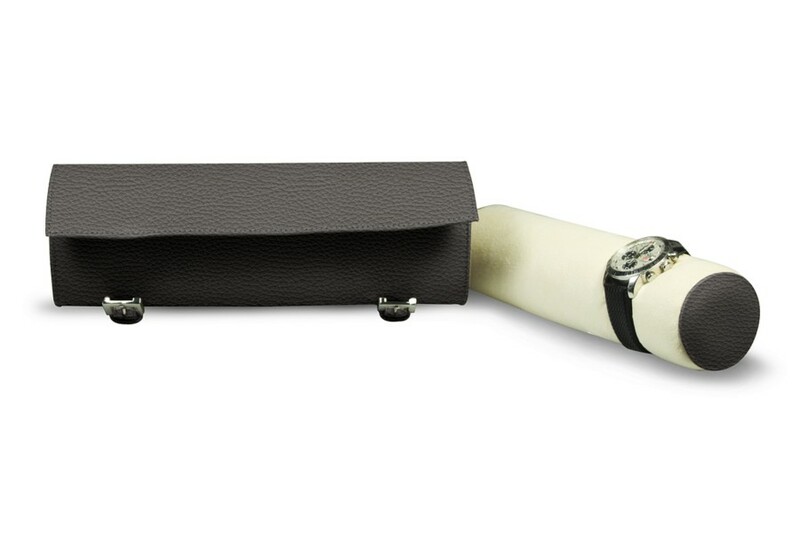 The interior is lined with soft microfiber to keep your watches safe from cosmetic wear during your trips. 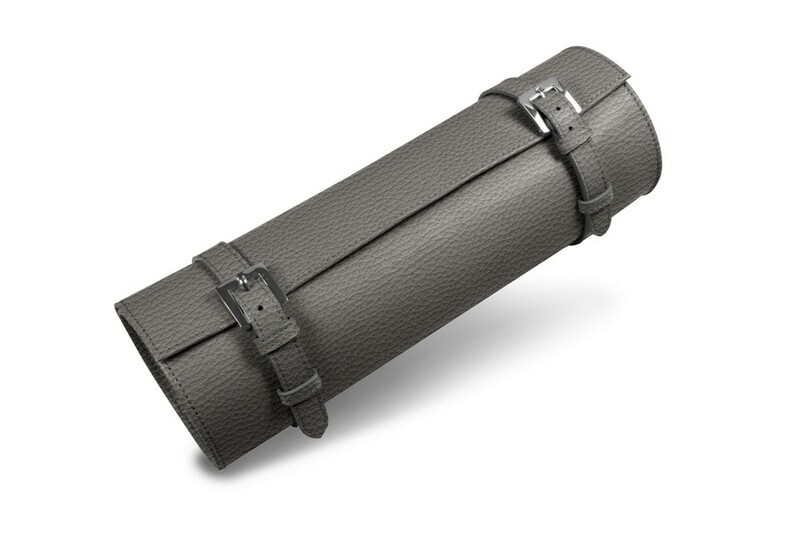 The watch holder is held secure by two leather straps with silver-colored buckles. Should you want to make it even more special, choose to customize it with text engraving or a different thread color.